Multi-WAN Routers - Now for every network! Using SpeedFusion™ bandwidth bonding technology, you can combine multiple DSL, cable, 4G LTE , and 3G links – up to 13 of them into a single high-speed SD-WAN connection. This enables you to access headquarters at greater speeds than you could achieve with a single link. With each link you add, the SD-WAN connection increases its reliability. Use multiple connection technologies from diverse ISPs to provide connectivity resilience at a fraction of what it would cost using traditional WAN alone. Guarantee the session integrity of sensitive applications such as point-of-sale or credit card transactions using Hot failover. Stream HD videos and have smooth videoconferences using SpeedFusion VPN technology. Use your commodity links to offload for your bulk traffic to the public Internet, while saving your critical traffic for private links. Using InControl, our powerful SD-WAN controller, you can easily perform a multitude of tasks from a browser. Set up a star, mesh, or point-to-point VPN with just a couple of clicks. Configure groups of devices at once to save time. Schedule automatic firmware updates for your devices. Flexibility and Routing Intelligence Through WAN Virtualization. Greater Flexibility: Peplink routers are capable of taking multiple Internet links and turning them into a single connection. To increase speed or reliability, simply add more links. Application-Awareness: Set-up your traffic priorities, including VoIP and custom application traffic, with a few clicks. Once configured, all traffic is managed automatically by the software defined rules set on the device – no human interaction is required. 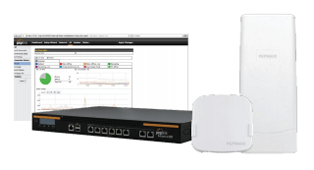 Automatic Failover: Peplink Routers keep your network up and running by continually checking the health of all connected links and routing traffic around inactive or intermittent connections. Higher Reliability, Lower Costs MPLS Replacement Success Stories. The Town of Tonawanda, New York needed dependable and secure VPN for its VoIP system. They initially looked into MPLS options, but the costs were staggering. Instead, they installed Peplink routers in 9 critical locations, with a municipal police station acting as HQ. InControl SD-WAN Controller For Simplified Network Management. Using InControl, branch offices can be monitored and managed centrally, giving network administrators full control over their networks using a single interface. Monitor your network’s bandwidth consumption, connection status, connected clients and more in an easy to use bird-eye view. Remotely access the Web Admin of any router in your network, and make configuration changes without going onsite. Push a configuration profile to multiple devices, and set-up groupwide firmware updates to save time. 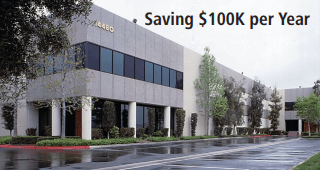 Cost-Effective Branch Office AP Management. Built-in Captive Portal. AP Controller software comes standard with every Peplink router, making it a cost-effective AP management solution for small to medium locations. Control and monitor your Pepwave AP using a centralized admin interface. Just connect a Pepwave AP to the network and it will be discovered by the Balance automatically. Manage all network connections, local client access, and user bandwidth policy. Peplink’s AP Controller solution features a built-in captive portal, which allows you to provide Wi-Fi hotspot service to your customers or Wi-Fi access to your guests in a corporate environment. From showing a splash screen for free users to accept service terms to creating a user login for your paid customers, you can easily customize your Wi-Fi portal in just a few clicks. Download the Peplink Balance Datasheet (PDF).